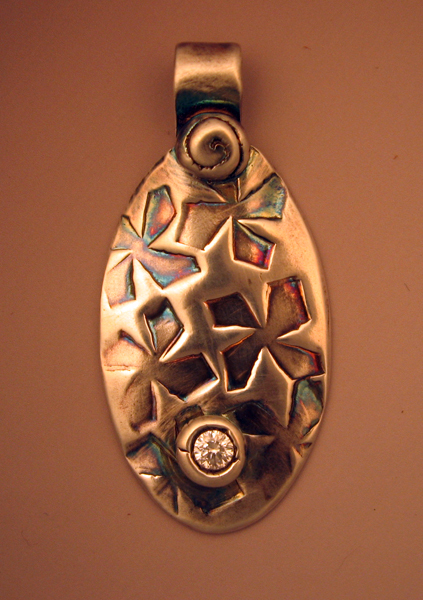 This fine silver PMC pendant uses a custom stamp design I created in the shape of a pinwheel to give it a light, fun texture. The 4mm cubic circonia facted stone makes this a perfect gift for an April birthday! Pendant comes with your choice of a 16" black suede cord with a lobster clasp or a 24" silver-tone chain with a simple spring clasp.